Signed by Southampton from Woking in October 1943, Evans played just one league match for the Saints and then moved to Exeter City in June 1947 for a small fee. Making his league debut for the Grecians against Walsall at Fellows Park the following August, he scored six goals in 30 starts. However, apart from a run of 11 consecutive matches the following season, Evans had to be content with reserve team football. 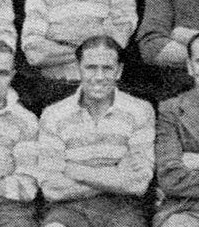 Evans moved to Aldershot in March 1949, having lived in Farnborough throughout his time with Exeter and training with the Shots. In just over a season with Aldershot he netted five goals in 16 league appearances. He was appointed manager of Aldershot in 1955, a post he held for four years. 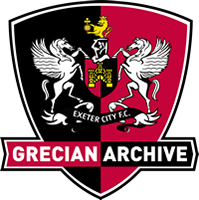 At one stage he was linked with a return to take over as manager of Exeter City in December 1957. Evans became assistant manager at Tottenham Hotspur after leaving the Shots, and along with manager Bill Nicholson helped guide the team to a League and Cup double in 1961. Evans’ daughter married Spurs player John White, who was tragically killed by a lightning strike. Evans died of cancer two years earlier in 1962.